Product Details-Modern design and colouring,High rim to keep urine and litter inside, Easy access entrance, Made in beligum, Colour-Cold Grey. Product Description-Modern, oval-shaped cat litter tray with high rim. 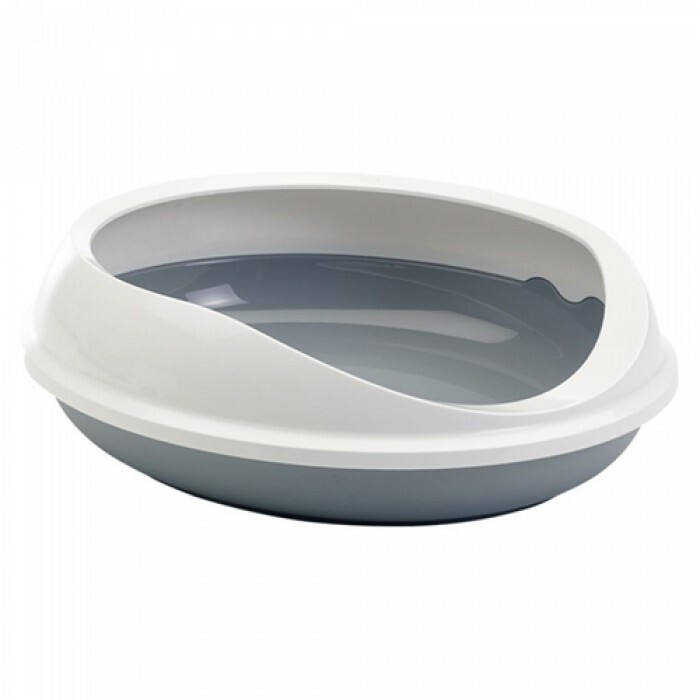 Due to the oval shape design, the cat has plenty of room to do their business. The high rim keeps urine and litter inside the tray and helps keep the surrounding area clean and tidy. The rim can easily be removed from the tray for cleaning. The Figaro tray has a lowered entrance, so that kittens and elderly cats can easily enter the tray. The Figaro, with its modern design, fits well in every modern interior.